With the wide range of vehicles in the SUV market, it’s not hard to find an SUV that offers sports-car like performance and handling. If you’re looking to head off the beaten path, there are also plenty of choices that can handle the toughest of terrains. But to have both those qualities in one vehicle is a challenge. 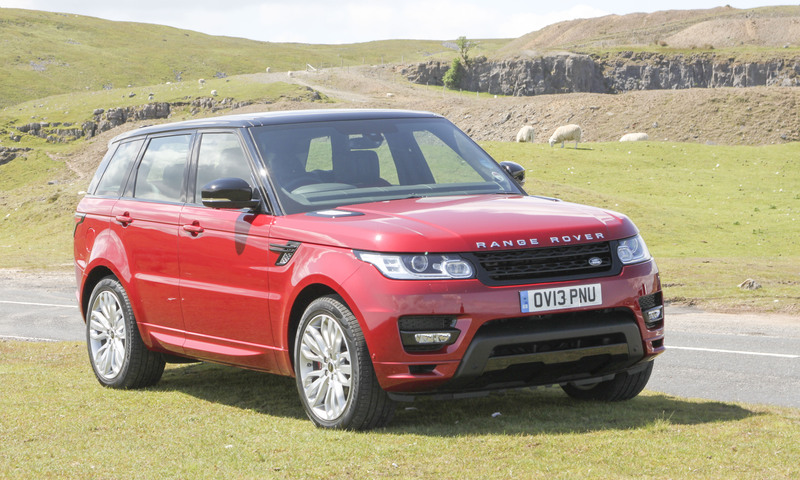 Not surprisingly, Land Rover has met that challenge with the all-new Range Rover Sport. The next-generation SUV excels on both counts, able to push through almost three feet of water one moment, then exceed 150 mph in the next. These are just a few of the impressive feats we found this luxury SUV capable of in our two day drive through Wales. 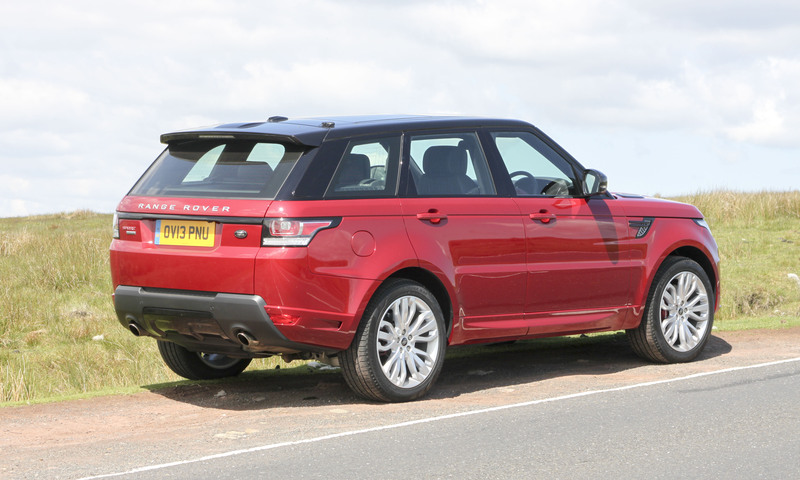 The Range Rover Sport is available in four different trims with two engine choices. 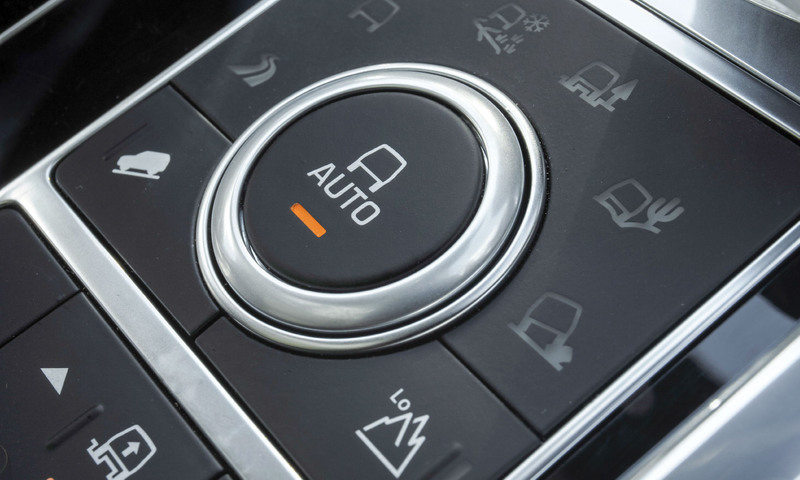 All variants of the Range Rover Sport feature full-time four-wheel drive with electronic traction control, an 8-speed automatic transmission and a long list of safety feature acronyms. 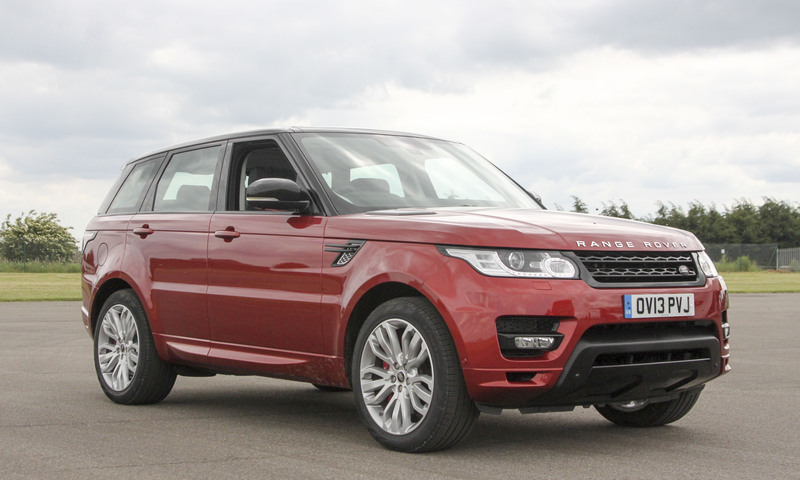 The base-level Range Rover Sport is the SE. It features a supercharged 340-horsepower V6 and starts at $63,495. The SE is well equipped with leather-trimmed 14-way power front seats, heated front and rear windshield, interior mood lighting, 8-inch touch screen and a 380 Watt Meridian Audio system with 8 speakers. Also standard is the Land Rover’s Terrain Response system, satellite navigation system, rain-sensing wipers, 19-inch alloy wheels and rear-view camera. For an additional $5,000, buyers can upgrade to the HSE. 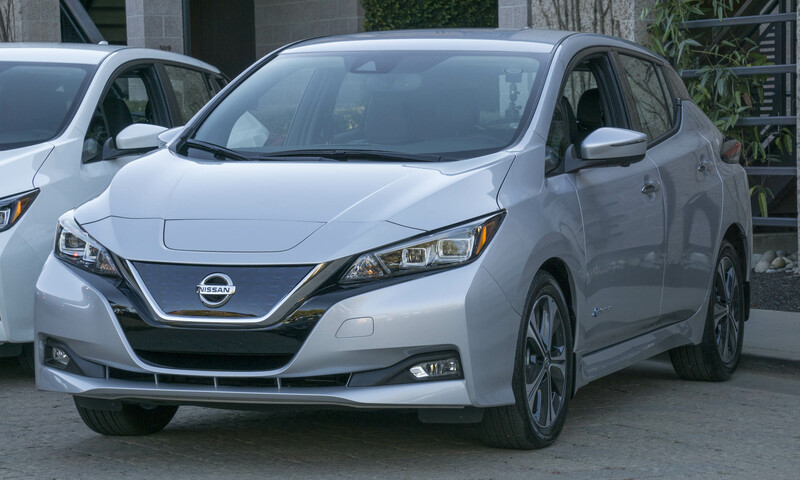 In addition to the SE equipment, the HSE gets perforated leather heated seats, sliding panoramic sunroof, fog lamps, 20-inch wheels and Shadow Zebrano Wood Veneer with a choice of Dark Gray Oak Wood or Micro Mesh Metal Aluminum Trim. At a starting price of $79,995 is the V8 Supercharged trim. 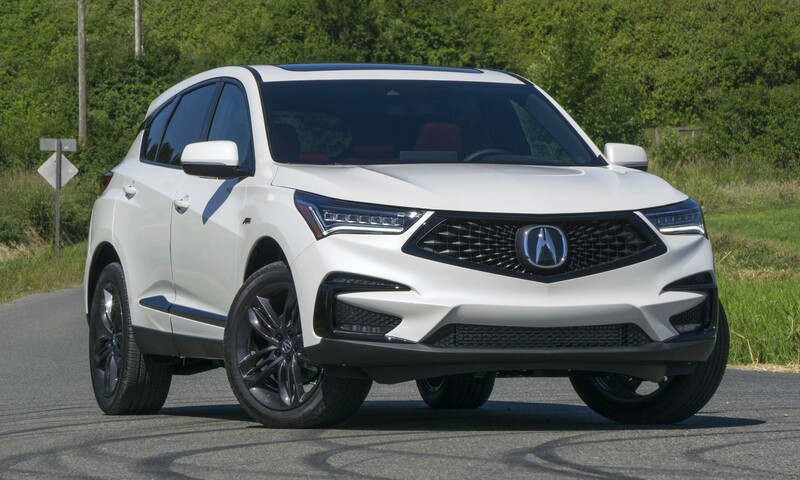 In addition to the 510-horsepower V8 engine, features include a twin-speed transfer case, Terrain Response 2 with Automatic as well as Dynamic programming and bright twin tailpipes. The top-of-the-line Autobiography starts at $93,925 and as expected it’s fully loaded. Standard equipment includes 2-tone and 3-tone seat color choices, heated steering wheel, leather trim on dash and center console, cooler in front center console, 16-way power seats, heated rear seats and a Meridian Premium 825-watt surround sound system with 19 speakers. The Autobiography also features unique 21-inch wheels, red-painted brake calipers, surround camera system and the Performance Enhancement package which increases top speed to 155 mph. 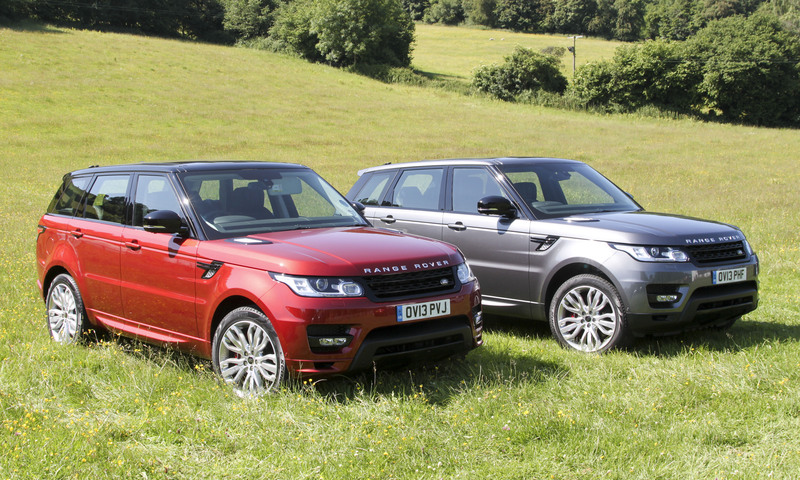 Two new engines are offered in the Range Rover Sport, both with start/stop technology (engine shuts off when vehicle is stopped). 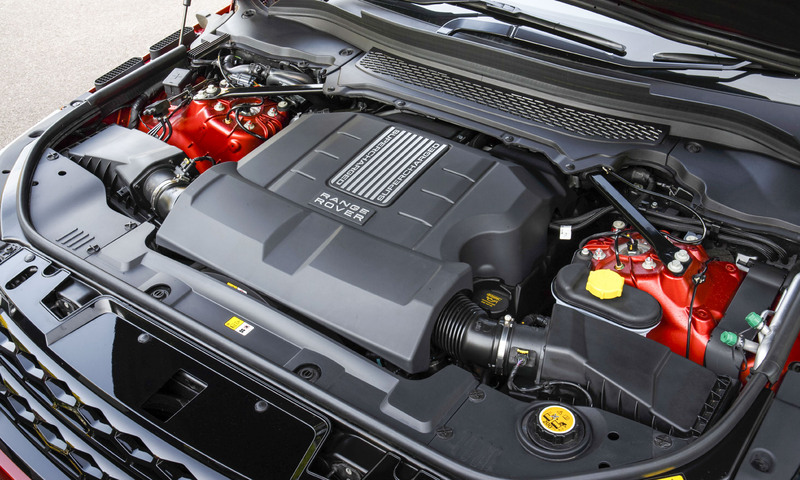 The base-level engine is a 3.0-liter supercharged V6 that produces 340 horsepower and 332 lb-ft of torque. 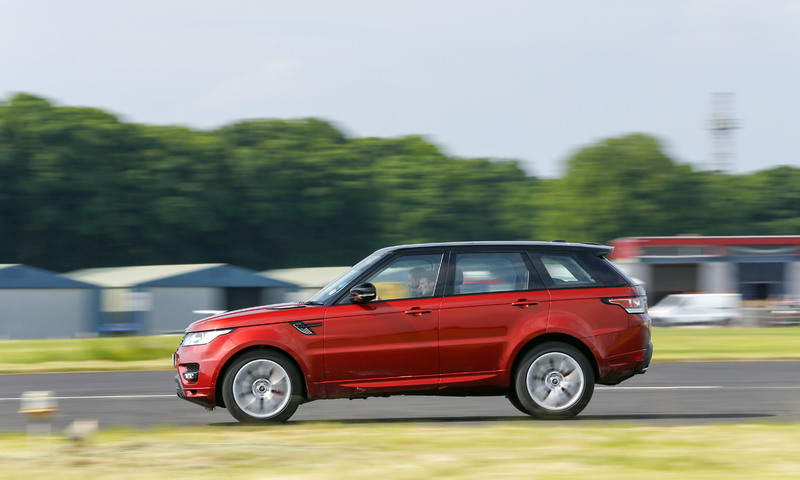 V6-powered RR Sports can reach 60 mph in just under seven seconds which is quicker than the previous-generation’s V8-powered trims. For those in need/want of more power, the RR Sport is also available with a supercharged 5.0-liter V8 engine putting out 510 horsepower and 461 lb-ft of torque. Accelerations is strong with either engine choice, but the V8 can reach 60 mph in less than 5 seconds and as we experienced (on a closed runway), it can exceed 150 mph. And it sounds fantastic. 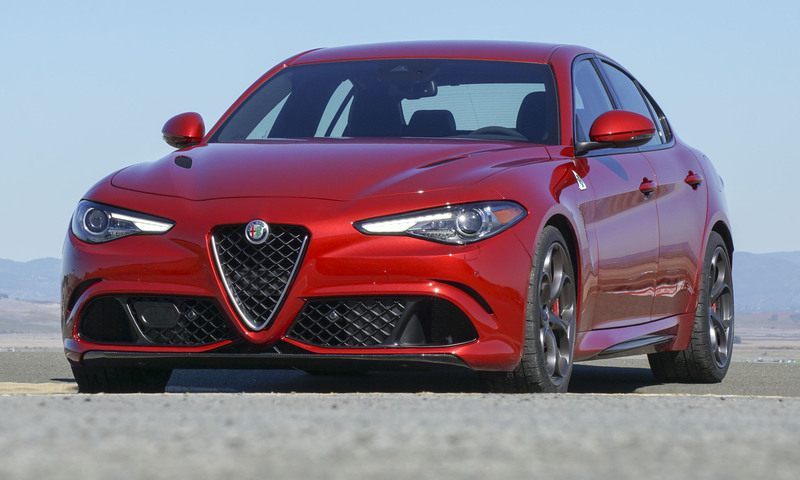 Both engines are paired with a new 8-speed automatic transmission which, combined with the 800 lb weight loss (vs. the previous generation), is largely responsible for improvements in fuel efficiency across the board. The V6 average fuel economy improves from 15 mpg to 19 mpg, while the V8 sees a more modest improvement of 2 additional mpg with a rating of 16. Neither fuel economy number is particularly impressive on its own, but definitely reasonable for a high-performance large SUV. 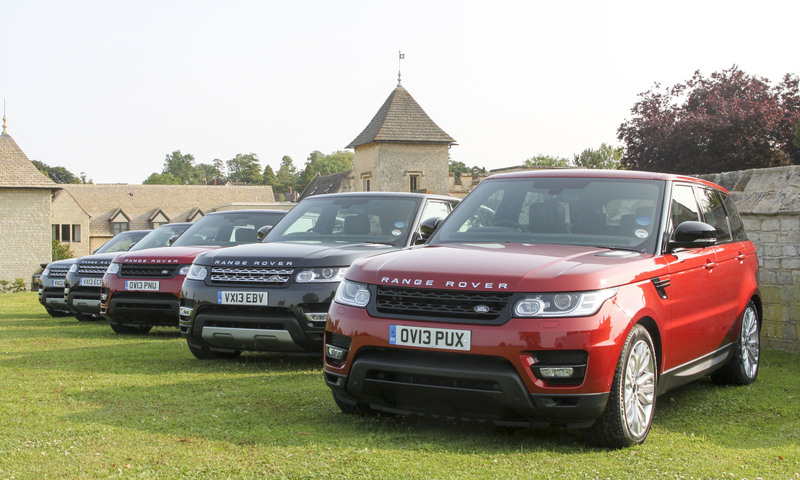 While the Range Rover may be able to take you to the middle of nowhere, you’ll get there in the lap of luxury. 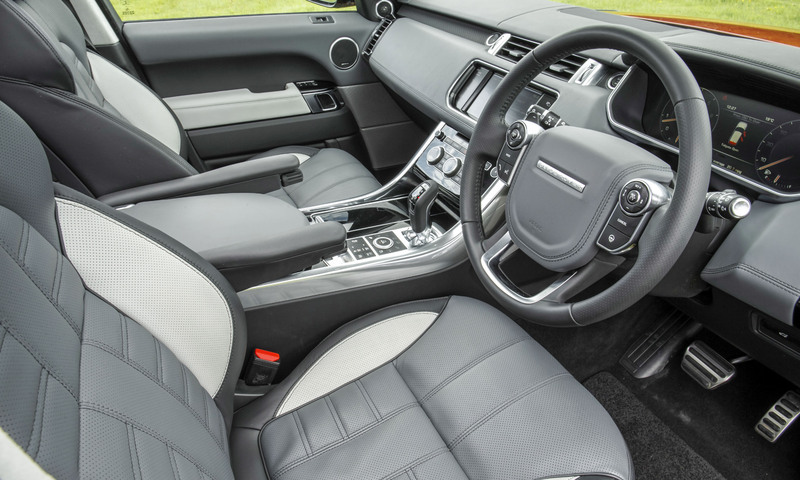 All Range Rover Sports are equipped like luxury cars with standard leather and loads of high-end amenities. 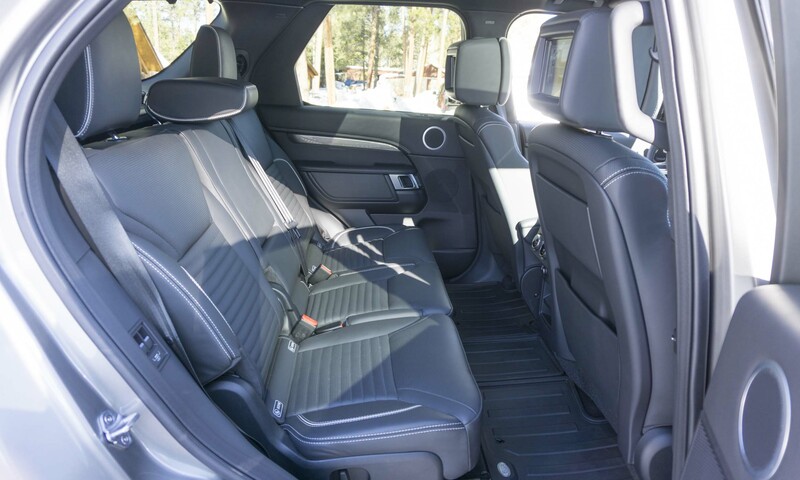 We drove several hundred miles on and off road and found the big leather seats to be quite comfortable and easy to adjust to the right driving position. The headrests are especially “cushy”. Rear seats offered good legroom, but the seats themselves are quite stiff and may become uncomfortable after a few hours. Range Rover has a well-earned reputation for its off-road prowess and this new Range Rover Sport certainly doesn’t disappoint. An all-new Terrain Response 2 system is featured in the RR Sport allowing even those who aren’t experts to take full advantage of the Range Rover Sports capabilities. Drivers can choose from General, Grass/Gravel/Snow, Mud/Ruts, Sand and Rock Crawl. Each setting optimizes drivability and traction by adjusting engine output, transmission, differentials, and chassis systems to match the demands of the terrain. The system can also be left in “Auto” and will choose the setting that best fits current conditions. We experienced a wide variety of off-road conditions and primarily left the system to decide on its own, however for much of the steep terrain and deep water we put the transfer case in low, which unlike past models can be done while the vehicle is still moving. 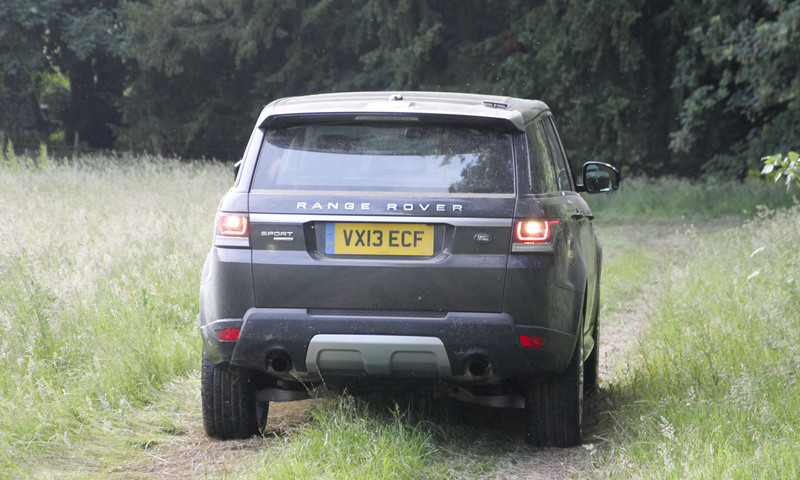 On the rutted, bumpy off-road tracks, the Range Rover sport felt solid with a comfortable ride. There was no groaning or squeaking (except perhaps from the passengers) as the vehicle traversed extreme angles which required the full use of its 21 inches of axle articulation. In fact, the RR Sport is impressively quiet on or off the road. Most amazing to us is the Range Rover Sport’s ability to wade through more than 33 inches of water – that measures almost up to the door handles. Doors are triple sealed to keep the passengers dry, and an industry-first Wade Sensing system alerts the driver if the water is getting too deep. 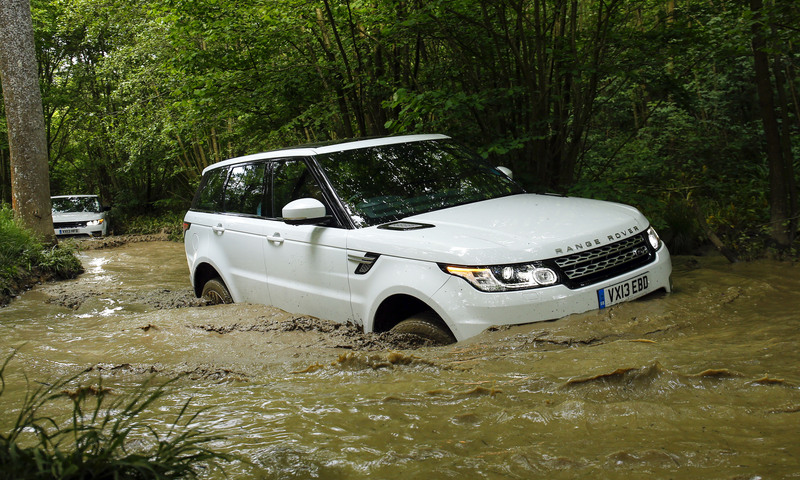 Driving upstream through a small river was an odd sensation – from outside it looks like a Range Rover boat with the wheels completely submerged. 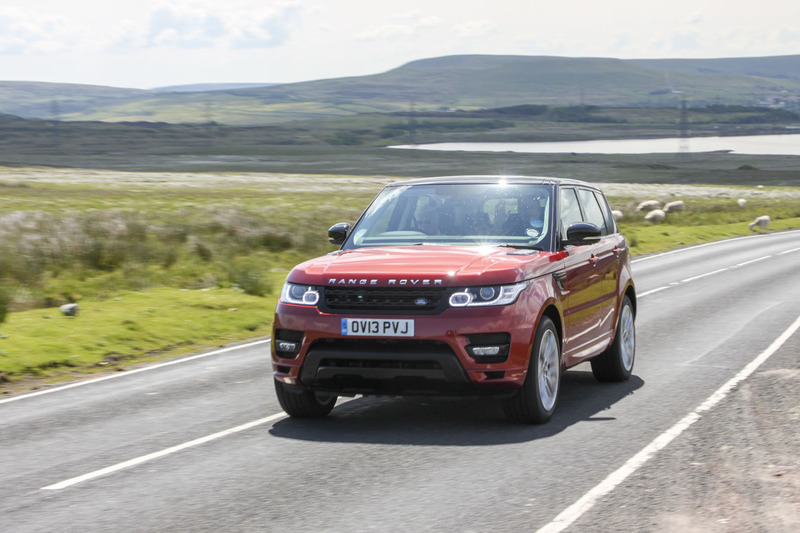 But what really sets the Range Rover Sport apart from its predecessor and much of the competition is that while it maintains that amazing capability off road, we found it to be surprisingly agile on the twisty roads through the UK. In addition to its lighter and more rigid chassis, the suspension has been updated for better handling all around. And the new Terrain Response 2 system features Dynamic mode which provides a firmer ride, tighter body control, reduced roll with more responsive steering. 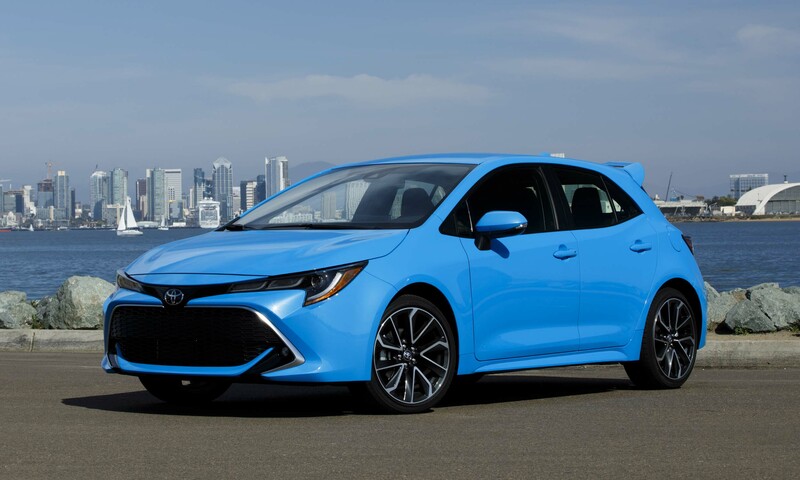 The active rear locking differential helps to maximize traction, and Torque Vectoring uses the brakes to reduce understeer and improve stability through corners. What all this really means is that you can take full advantage of the big power under the hood and have a great time when the road gets twisty. To showcase stability at high speed, we took advantage of a closed runway at Cotswald Airport in Wales to take the RR Sport to 150 mph. There was a bit of wind whistling at 130 mph, but otherwise the big SUV was solid at top speed, and hard braking slowed us quickly with no drama. This was in the exact same vehicle that hours earlier had successfully driven through the deep water – there aren’t many vehicles that can perform both these tasks so well. If you’re in the market for a luxury SUV, the new Range Rover Sport is a perfect blend of luxury, performance and off-road capability. The less-expensive supercharged V6 will be more than adequate for most buyers’ needs, and the added fuel economy is definitely worthwhile. However, to get the full dynamic driving capability, the V8 is really the way to go. Sure, most owners will never take their Range Rover Sport off pavement aside from driving up on the curb in front of the neighborhood Starbucks, but now they can thoroughly enjoy pushing a Range Rover through winding roads without heading into the mud – knowing full well that it could handle the mud just fine. Bottom Line: Land Rover has built its reputation on building luxury SUVs that are fully capable off-road, and the Range Rover Sport keeps that reputation intact. 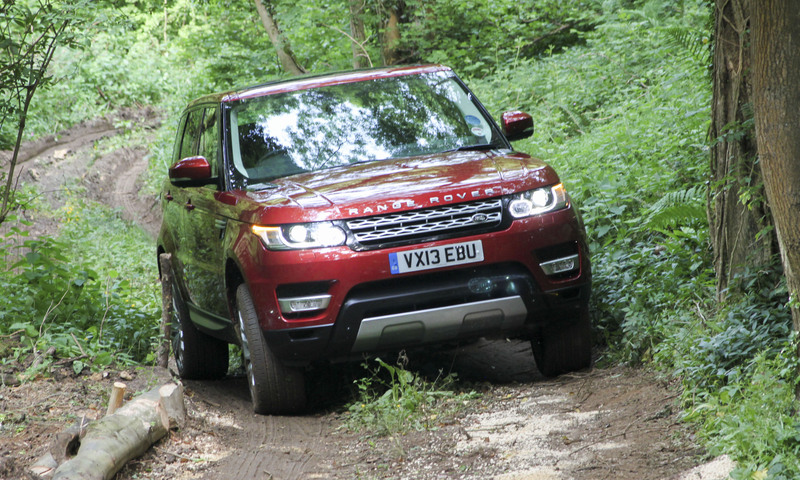 But unlike previous Range Rovers, this one is absolutely brilliant on pavement as well providing an agile, spirited ride that’s a nice surprise for a large off-road SUV. 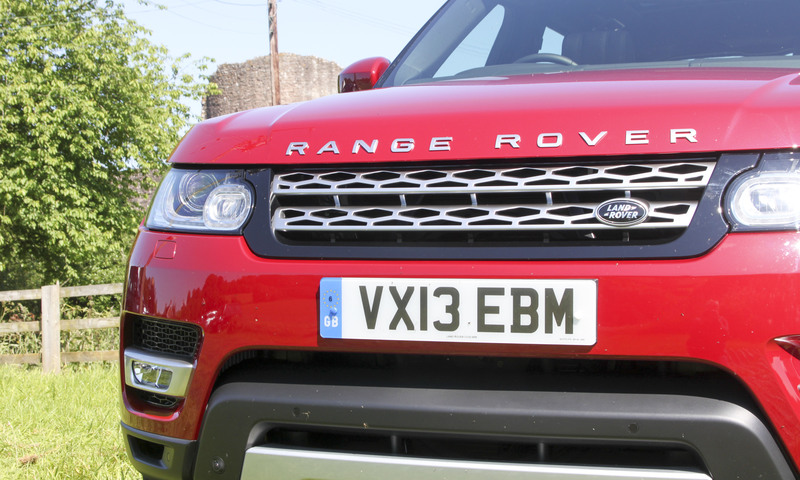 I bought a new Range Rover Sport on 17.07.2009 and since then it has been off the road for 21 days so far with a tleribre vibration throughout the vehicle when driving over 50mph. The dealer has balanced the wheels several times and also tried a different set of wheels on the vehicle but none of these have sorted the problem. I cannot drive through the vibration either it gets worse the faster you go. Can anyone give me some pointers ?